Holy Week. A period of reflection, a period of atonement, a period of celebration. 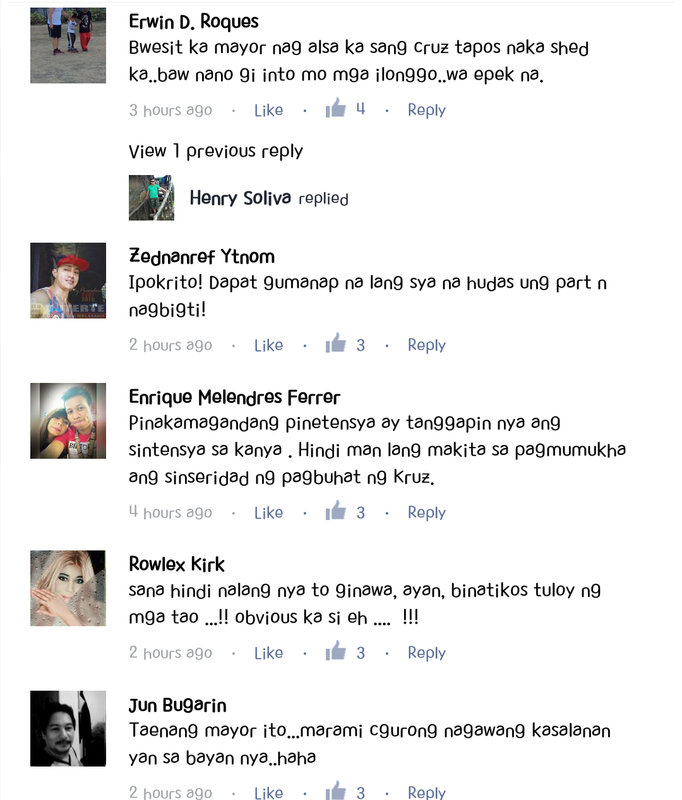 Here in the Philippines, by one means or another it turns out to be a festive. It is on account of the penitents take it to the avenues. What's more, obviously, it draws in onlookers. Being a generally Roman Catholic nation, the Philippine culture profoundly coordinates Catholicism. Since it is Semana Santa, atonement is a piece of the practice. 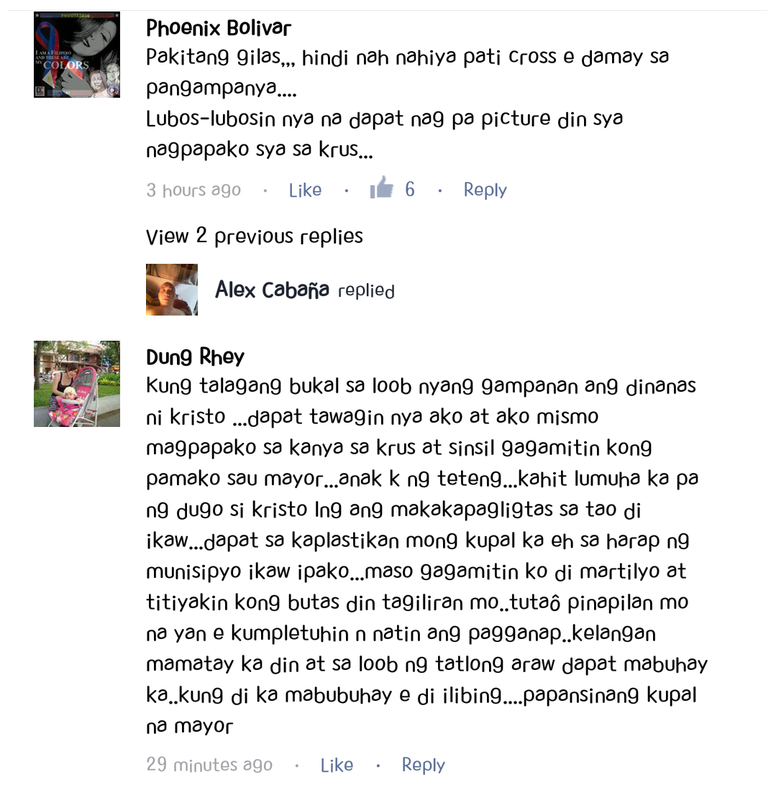 We Filipinos have heaps of ways doing humility. Some make it straightforward, some make it overwhelming. But what if you see a politician carrying a cross in public? What comes first to your mind? 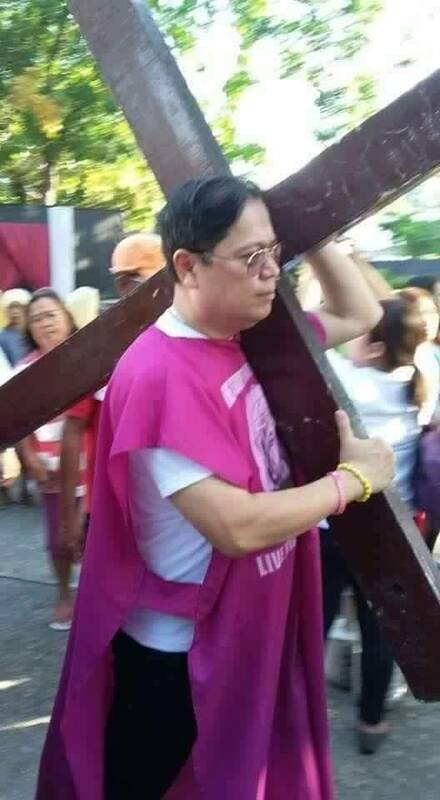 One of the Liberal Party mayors in Iloilo was seen lifting a cross in public during the Lenten season. 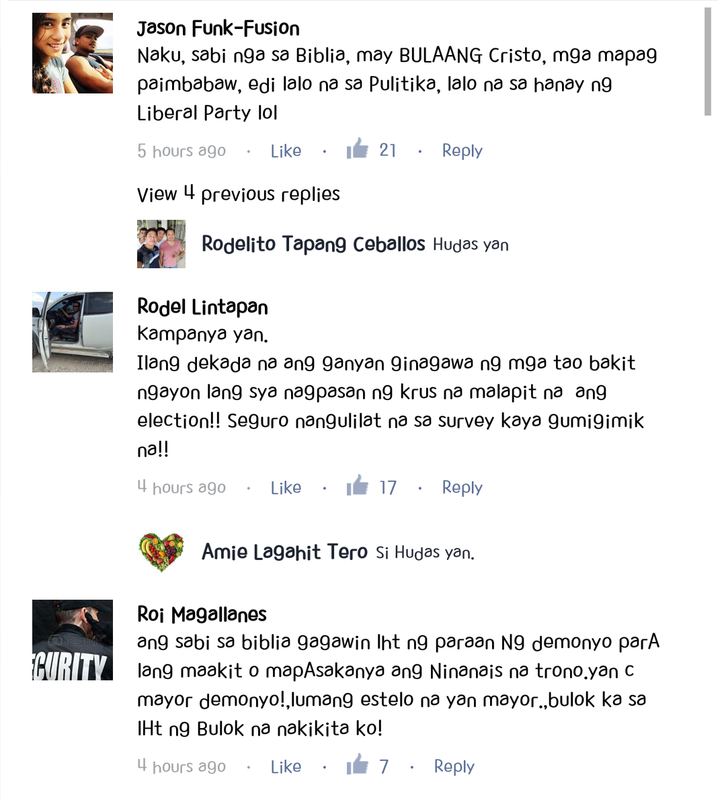 Many netizens reacted to what the mayor did and construed it that it was just a "tactic" to gain people's sympathy especially that May election is just around the corner.